The SCADALink DC100 Modbus Data Concentrator is a powerful and easy-to-configure device that can be used for Modbus Data Concentration from any combination Modbus Protocol based devices or I/O. It’s I/O bus interface enables connection of up to 8 SCADALink I/O modules and with built-in serial and ethernet ports, it can act as a submaster to a SCADA Host, collecting data from remote sites in a hard-wired system or PLC systems that cannot poll. 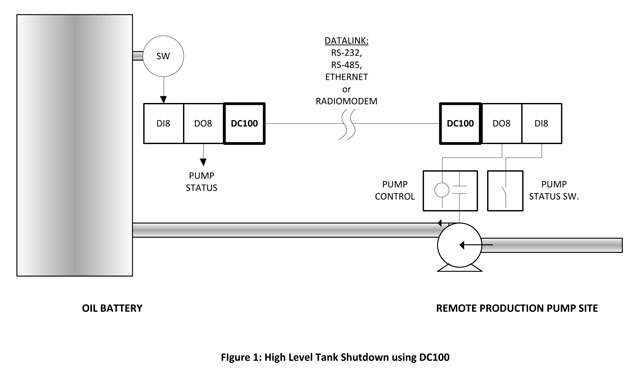 The DC100, with ability to communicate via Modbus Protocol via Serial (Modbus RTU) and Ethernet (Modbus TCP, Modbus over TCP) enable communication to via wireline, radio, cellular, satellite, and LAN/WAN makes a SCADA Systems integration tool for Oil and Gas, Pipeline, Water, and Power System Industries. With Ethernet and multiple serial port connectivity, the DC100 supports simultaneous Modbus Master and Modbus Slave functionality. Serial Modbus ( Modbus RTU) and Ethernet ( Modbus TCP, and Modbus over TCP, and Modbus UDP are supported. 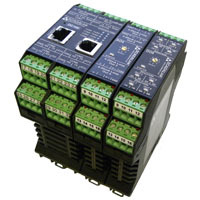 The DC100 can convert Modbus Protocol registers from any device to 4-20 ma I/O using an 4-20ma Analog Output I/O modules. This feature enable easy interface of multivariable transmitters (MVT) or EFM to DCS and PLC Systems for Control applications. 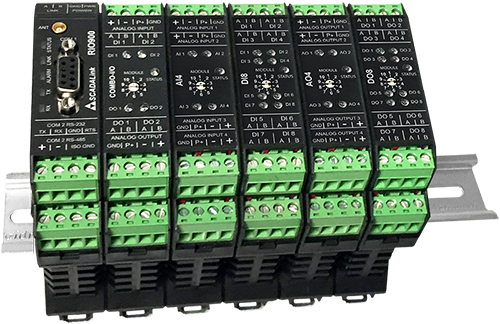 The DC100 can convert Modbus Protocol registers to/from standard industrial I/O including 4-20 ma Analog Inputs (AI), Digital Inputs (DI) , 4-20ma Analog Outputs (AO) , Digital Outputs (DO). 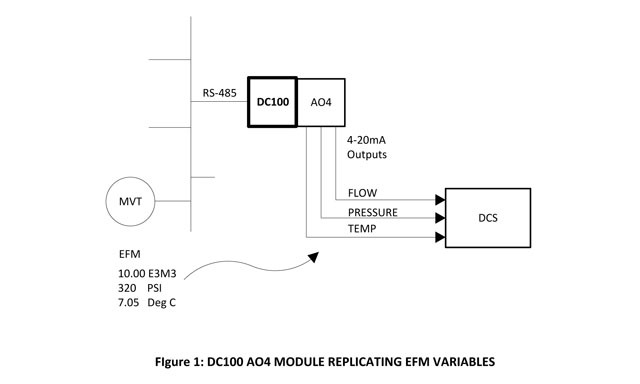 The DC100 supports both Standard and Enron Modbus protocol. The DC100 allows simultaneous access by multiple Modbus Masters including the DC100 itself, allow data concentration and conversion to operate simultaneously. 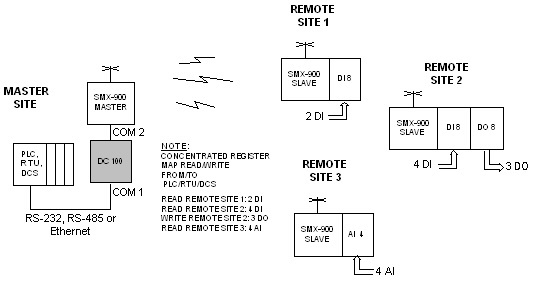 The applications below show four common system architectures for the DC100 Modbus Data Concentrator. The DC100 with its ability to read and write Modbus in a variety of data formats can be used to bridge systems with incompatible data formats. 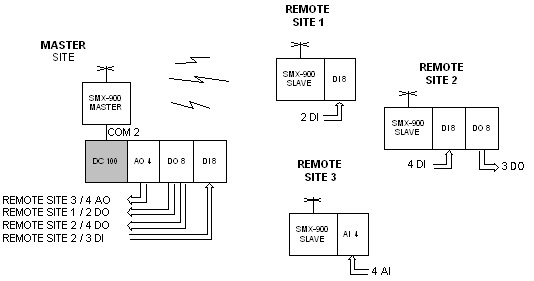 DC100 provides Modbus Master and Slave functionality. 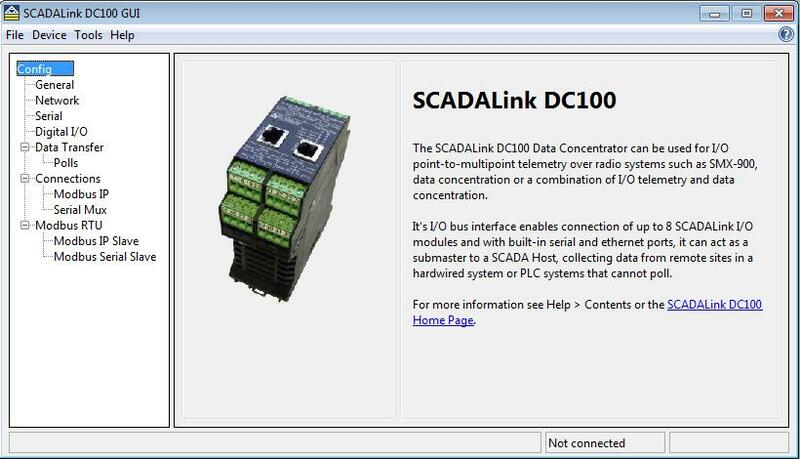 The DC100 has a subset of the features of SCADAlink IP100 Industrial Terminal. Configuration is done via the DC100 GUI application. It’s simple and does not require any specialized programming knowledge.